As much as I love running, these past few weeks the weather was so awful the idea of going out for a run was not anywhere near my thoughts. However, this didn’t mean that I did not exercise at all. As you may know –if not, there you go- I love Pilates and stretching. I just love it, so doing yoga was the next natural step for me. 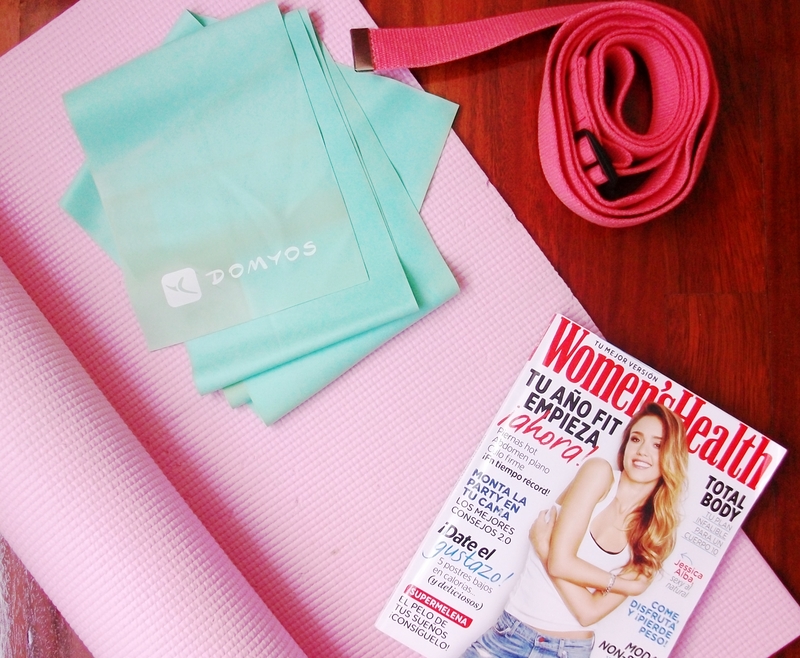 A few purchases later, let me take you through my beginners yoga staples..
First things first, a yoga mat. I know there are some expensive –really expensive- ones, but honestly I refuse to spend more than 10€ in a mat which is useful right now but will not be used when the yoga fever is gone. I got mine at Primark, in pink. It’s not the best one, but it does the job. As for a start, I cannot recommend you enough the Yoga with Adrienne videos. I just started them (as I am writing this am currently on day four) and they are fab. Is the perfect yoga for beginners, no pressure, no impossible movements. Adrienne is also a babe, which makes things a lot easier. It may seem like doing yoga is like doing nothing at all, but trust me the next day your body won’t think the same..